Many years ago, my mother gave me the photos that had belonged to her grandmother, Tensie Humphrey. Years later, I started labeling them. I found out some names from my mother and some from my grandmother. I decided today to research her and try to see who she actually was. Here is what I found. There was only one Daisy Pittman to be found in the records of any county in the area around where my great-grandmother, Tensie Humphrey, lived any time during her life. 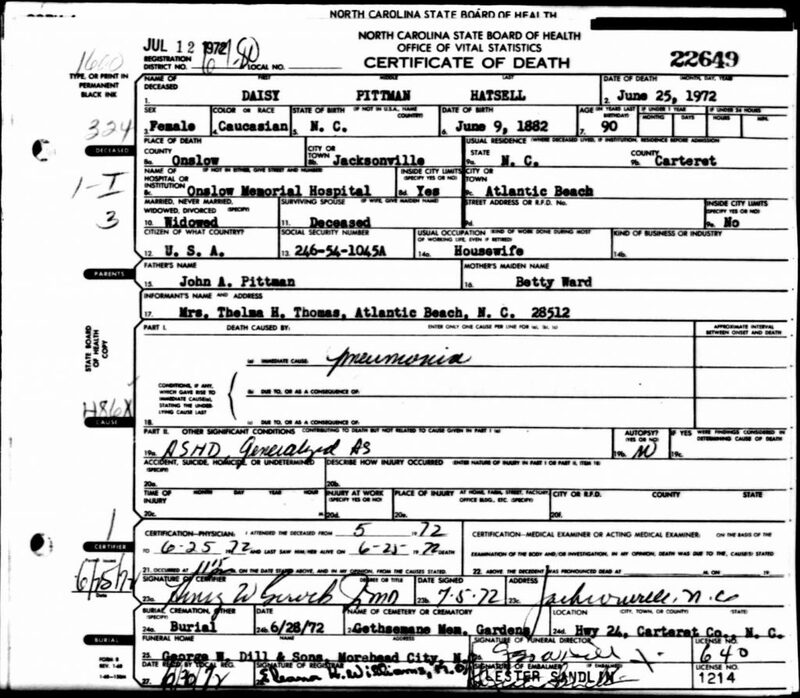 I found a Daisy Pittman who was born and died in Onslow Co., NC. I did further research on her and found that her full name was Laura Venters “Daisy” Pittman. She was born June 9, 1882 and died June 25, 1972. 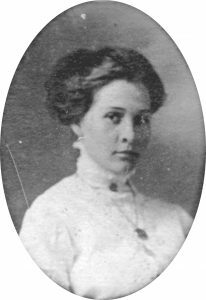 She was married to Bryant Hatsell, who was born February 17, 1875 in Onslow Co., NC, and died June 8, 1931 in Oriental, Pamlico Co., NC. One interesting thing to note about Daisy is that she had a daughter in 1909 whom she named Thelma. You will note in the above death certificate, that Thelma was the informant. My grandmother, Thelma, was born the year before, on May 6, 1908. Perhaps Daisy’s daughter was named after my grandmother. Maybe I’ll find out someday.